Special edition cars to celebrate a model's anniversary are nothing new. of its cars and even mainstream automakers like . In order to get buyers interested in an anniversary edition car, the model in question typically needs to have some sort of legendary heritage. of its models and has now created three new special edition models of the Chrysler Pacifica and Pacifica Hybrid as well as the Dodge Grand Caravan to celebrate 35 years of being the top-selling minivan company. FCA has sold 14.6 million minivans sold globally since 1983, which is twice as many as any other manufacturer in the past 35 years. This seems like an odd anniversary to celebrate, given that minivans are quickly dying off in favor of more stylish crossovers and SUVs. Still, FCA will roll out 35th Anniversary editions of the Pacifica, Pacifica Hybrid, and Dodge Grand Caravan available starting summer 2019. The 35th Anniversary edition adds new badging, an all-black interior with Cranberry Wine stitching, and upgraded content (depending on trim level). If you opt for a Pacifica Touring L, you'll get a memory driver’s seat, eight-passenger seating, an overhead DVD player, and 18-inch wheels. The Touring L Plus trim includes a memory driver’s seat, eight-passenger seating and a dual-pane sunroof in place of the DVD player. Finally, stepping up to the Limited trim adds 20-inch wheels. The Pacifica Hybrid also receives its own unique upgrades as part of the 35th Anniversary edition. The Hybrid Touring L trim adds a 13-speaker Alpine audio system, 8.4-inch UConnect infotainment with navigation, and 17-inch wheels while the Hybrid Limited trim adds larger 18-inch wheels. 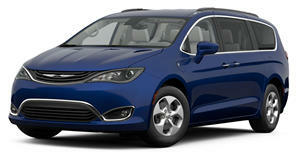 All 35th Anniversary Pacifica models can also be paired with the for an even sportier, blacked-out look. 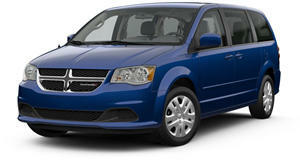 The Grand Caravan (yes, it's still in production) includes 17-inch aluminum wheels, a 35th Anniversary fender badge, and a bright grille as part of the anniversary package. The SE trim also receives Stow ‘N Go second-row bucket seats and a power driver’s seat while the SXT trim gets navigation, heated front seats, a heated steering wheel, and second-row window shades. If you want your minivan to stand out a bit more than a standard one, the 35th Anniversary packages seem like a nice value with useful upgrades. Just don't expect to double your money at Mecum in 35 years' time.